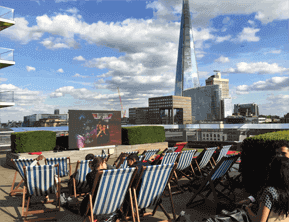 Providing all-inclusive Indoor and Outdoor Cinema Hire with over 10 Years experience providing silent disco hire and events across the UK and Europe. We supply everything you need for your Cinema Hire including our Inflatable Screen, Projector, Silent Headphones, Support Equipment and our helpful Staff. We can have both 12ft or 30ft screens available that can screen between 20-2000 people. We take care of the safety and planning of the event. We have furniture, foot stalls and entertainment available for you to hire, including many other extras. 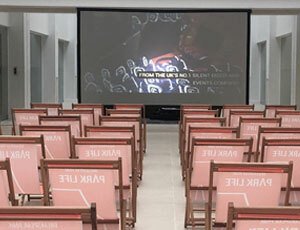 We provide the latest technology in Inflatable Outdoor Cinema Screens and High Definition projection. 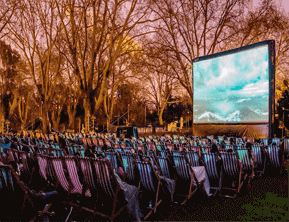 The Silent Cinema Company are one of the most reputable Outdoor Cinema providers in the UK who offer Inflatable Cinema Screens of the highest quality with an added twist of Silent Disco tech too. Even if you are having a corporate event we can provide you with a silent cinema screen to display your presentation, images or display. The options are never-ending with our cinema screens. The concept of a Silent Cinema is fairly new and people constantly ask how does it work? It is very simple. We use state of the art fully rechargeable LED headphones with powerful transmitters to ensure perfect quality. The music source is then plugged in to the transmitter and away you go. All our silent cinema headphones come in fully rechargeable flight cases for maximum protection and durability. our Outdoor Cinema incoporates our silent disco technology. Whether its in a venue, outdoor space or festival. With our 30ft Screen we can cater for large audiences with setup in just 60 minutes. The Silent Cinema Company incorporates its Silent Disco technology to give you the best cinema experience possible, from drive-in cinema experiences, to outdoor and indoor cinema experiences. Offering services that are perfect for all events, indoor or outdoor, we can provide an experience like no other for your event. We are a London and Essex based company, specialising in silent cinema equipment for rental. We also offer a range of other solutions for parties and corporate events. Our experienced team will help you through every step of the way to ensure the process leading up to your event and the event itself is stress free for you. Would you like to book? 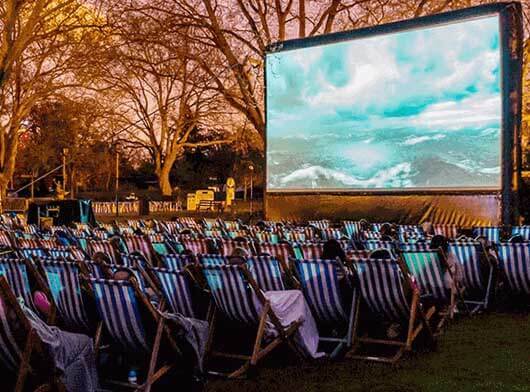 Contact The Silent Cinema Company today for pop up cinema screens, we aim to reply to all enquiries within 24 hours.